It is possible to walk to the lighthouse, at low tide as the picture above shows. 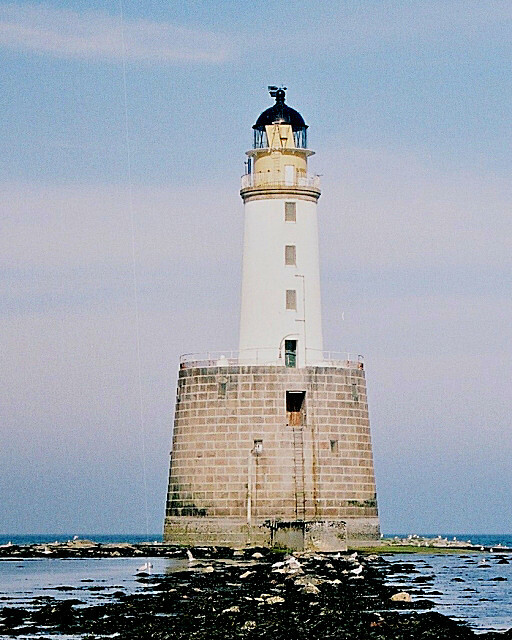 Located north of Peterhead and southeast of Fraserburgh. 2 blasts every 45 seconds. Accessible by car, parking available.